68 (This is for yesterday, only I fell asleep right after dinner and didn’t post it then) This is one of my favorite AP labs. 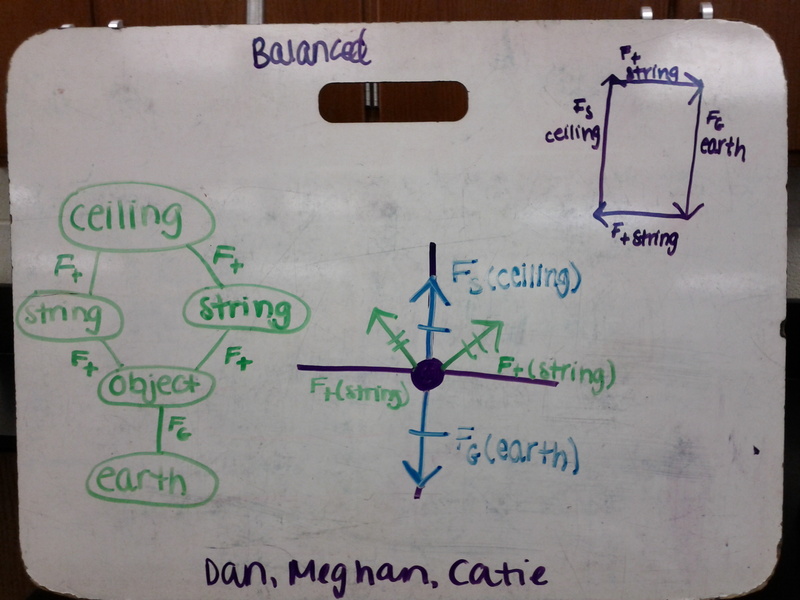 Static equilibrium! 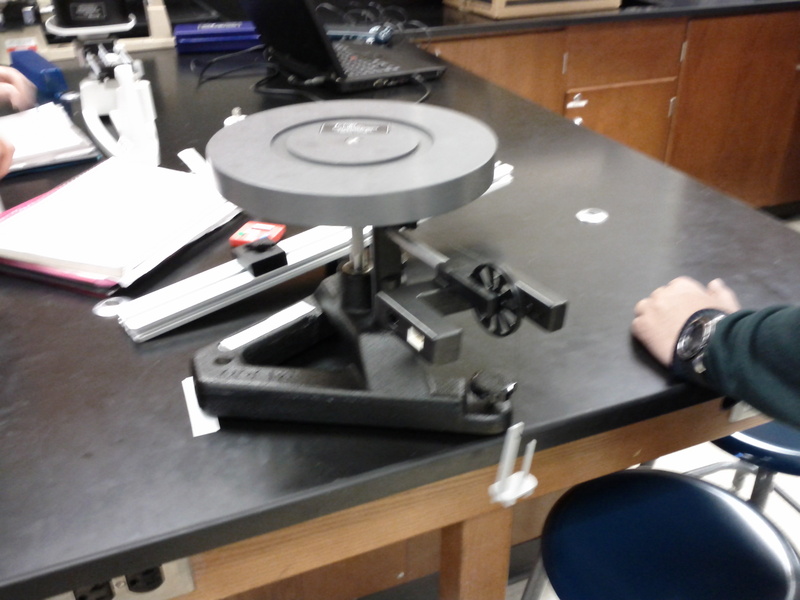 I set up six stations each with a meterstick that has some masses resting on it or hanging off it. Two trusses, two supported by two tension forces, and two with one end supported on a rod clamp and the other pulled in the other direction by a tension force. Two have unknown masses, two have unknown tension forces, and two have unknown meter stick masses. 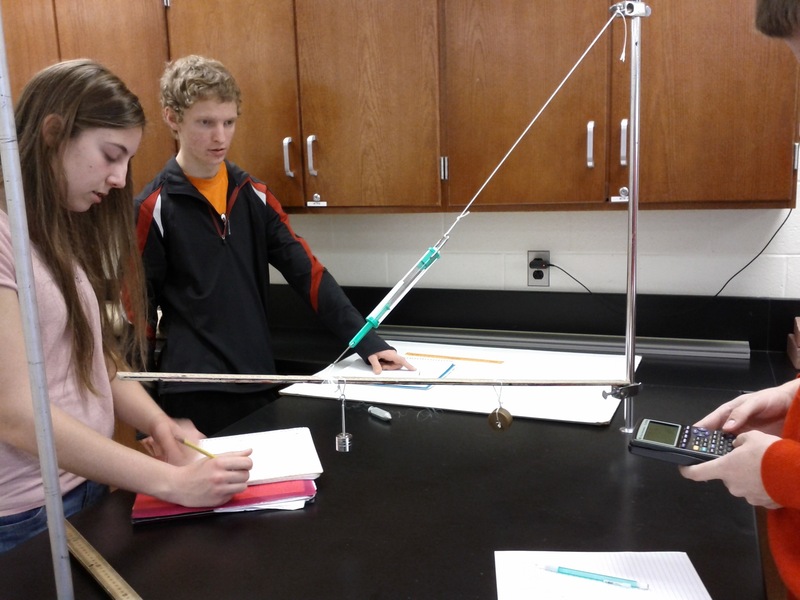 All the tension forces have a spring scale attached, but the “unknown” tension forces have paper wrapped around them so they can’t be read. Students have to take whatever measurements they can (I give them protractors, rulers, one more meter stick, and a plumb bob) on two of the stations and determine the unknown value. They must also provide me with equations for net force and net torque. 65 There is something very satisfying about doing some algebra. This is an old AP free-response problem. 59 I LOVE these types of problems. 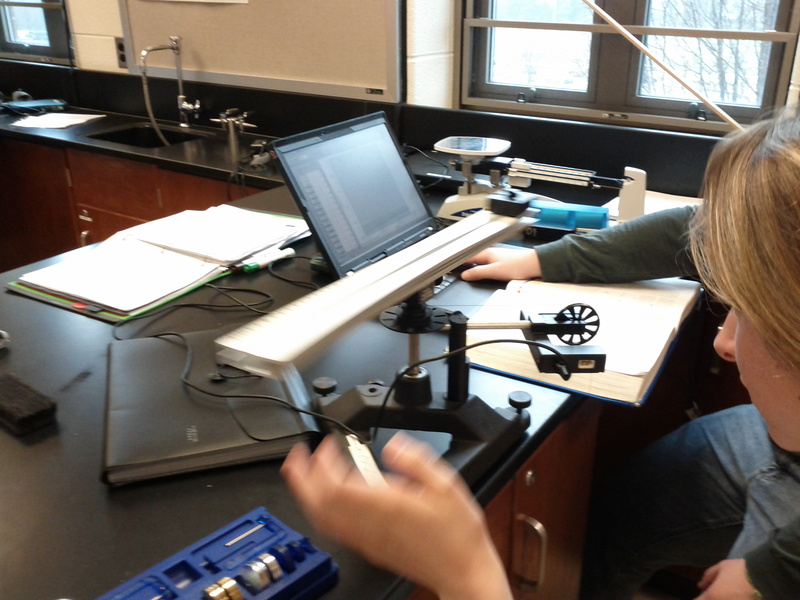 We have finally made the transition from massless pulleys to pulleys with rotational inertia. Now we are revisiting Atwood-type problems with this added twist. I could sit and solve these things just to relax. This is the AP class. 53 I could not decide which class I wanted to talk about, so you get two photos today. 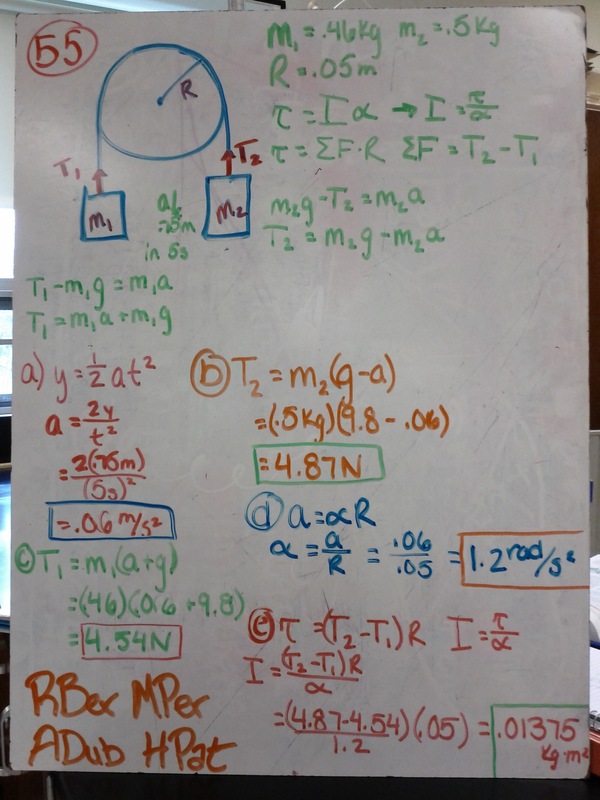 The top one is from one of my conceptual classes, a great example of a mistake in which students assume that there must be some sort of straight upward force to balance the gravity force. This is the way all the FBD’s we made at first were laid out. In this problem, there should not be any surface force at all, which the system schema clearly shows. So we discussed that in class. I also spent time talking about how important this mistake was for everyone’s learning and in a later class I asked a group to add this particular mistake to their FBD, which they found distasteful but they did it anyway. 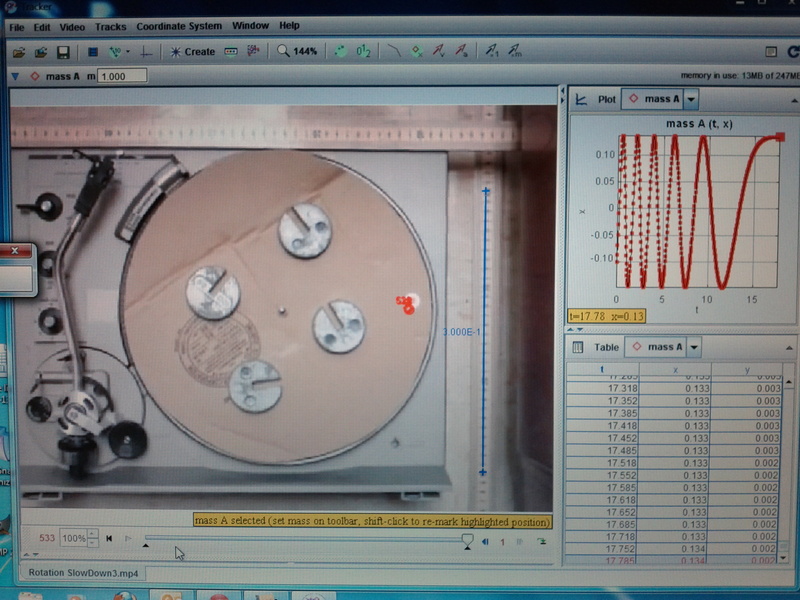 The second photo represents the successful use of Tracker to analyze a rotational motion video. I have a collection of 8 videos which I made several years ago and students have always done the analysis in Logger Pro, clicking through hundreds of frames. Ugh! Happily, last summer I learned how to use Tracker and all the groups were able to have Tracker autotrack a spot on the cardboard “record,” a process which wound up being painful in much different ways. I could go on and on about the technical issues we had but happily most of my students are resourceful and some are handy with tech support, so every group now has data to analyze. We’ll be doing that tomorrow.